John Bingham or Baughan, alias Innis Baffin, cabin maker, was convicted at Oxford England, in 1783 for having stolen five woollen blankets being the goods of John Shorter. Sentenced to seven years transportation to America, he was delivered aboard the ship Mercury on 22 March 1784 with 21 other convicts. The ship was seized by the convicts off Torbay Cornwall; he was one of 66 recaptured and held on Dunkirk Hulk until being transferred to the First Fleet transport Friendship. 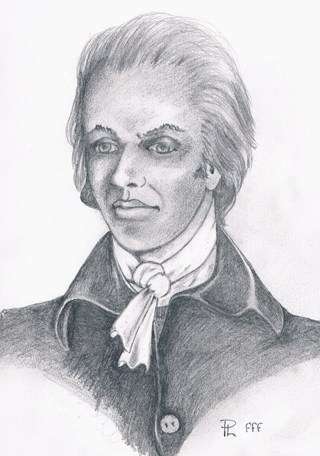 The Reverend Richard Johnson, celebrated ten marriages on 17 February 1788. Amongst the couples were John Baughan and convict Mary Cleaver, who had been sentenced at Bristol on 5 April 1786, aged 27, for a burglary in the house of Edward Relly. Transported for seven years, Mary was sent to the Dunkirk hulk on 25 November. She was later discharged to Charlotte on 11 March 1787. It is suggested that John and Mary had known one another on the Dunkirk Hulk. James their first child, born on the voyage out, was buried in Sydney Cove on Friday 28 March 1788. Another two children followed, Charlotte and Charles. Charlotte died at 15 months and Charles died seven weeks after being baptised on 18 July 1790. There were no further children. John was granted fifty acres at Prospect Hill, near Parramatta, but did not settle there; his employment as a carpenter noted. Construction of a mill at Sydney in December 1793 gave him identification as a millwright. In March 1794 the grinding mill which John had erected commenced operations with nine men working its capstan bar, it ran so smoothly that sixty-three pounds of wheat were ground in seventeen minutes. When John Wilkinson’s mill near-by was abandoned, John was commissioned to replace it by another of his own design. David Collins stated: John Baughan, an ingenious man, formerly a convict, had undertaken to build another mill upon a construction somewhat different from that of Wilkinson’s, in which he was assisted by some artificers of the regiment. Both these mills were to be erected on the open spot of ground formerly used as a parade by the marine battalion. John erected and furnished a neat little cottage on a small lease granted in recognition of his achievements as carpenter and millwright, near Dawes Point below the hospital. The grant of land, with its cottage and attractive garden was later acquired by Robert Campbell. On 4 February 1796, John overheard himself being abused by a NSW Corps (former convict), who apparently bore him an ancient grudge. John slipped out of his workshop, collected the Corps arms when he deserted his post and handed them to the sergeant of the guard. As an act of reprisal, John’s cottage was stormed by soldiers the following morning. John was thrown to the ground with an axe held over his head in front of his terrified wife. Every item of furniture in their cottage and other property was extensively damaged. At the urging of William Balmain, John lodged a complaint, although he had previously been reluctant for fear of reprisals. The impending court martial was called off when Captain John MacArthur wrote that the NSW Corps would pay for the damages. John constructed efficient mills and neat dwellings until his death on 25 September 1797. He was by then overseer of carpenters in Sydney. Although Collins remarked on Baughan’s sullen and vindictive disposition, he considered him an ingenious man. Following John’s death, Mary left the colony for England aboard Reliance, arriving Portsmouth on 5 September 1800. Once more back in the colony by 1802 she was living with Blacksmith Richard Harding (Britannia 1791) and was still with him when they both sailed for England in July 1819 by Surry. In 1808 the title of the property at 4 Hunter Street Sydney was transferred to Mary by a James Cleaver (Scarborough 1790), in consideration of love and affection, which probably suggests that she was a close relation, possibly a sister.